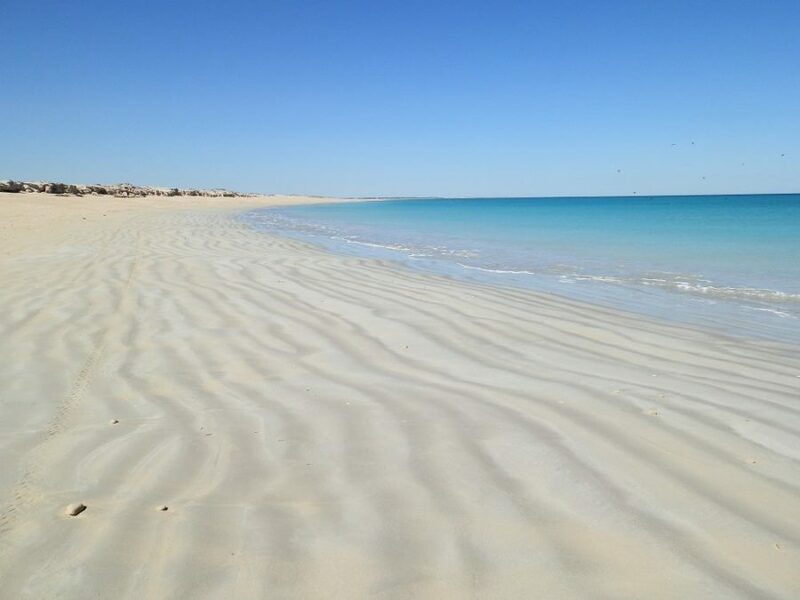 As you can tell from this shot of a typical Australian Beach, it’s obviously the middle of winter. AND peak tourist season. 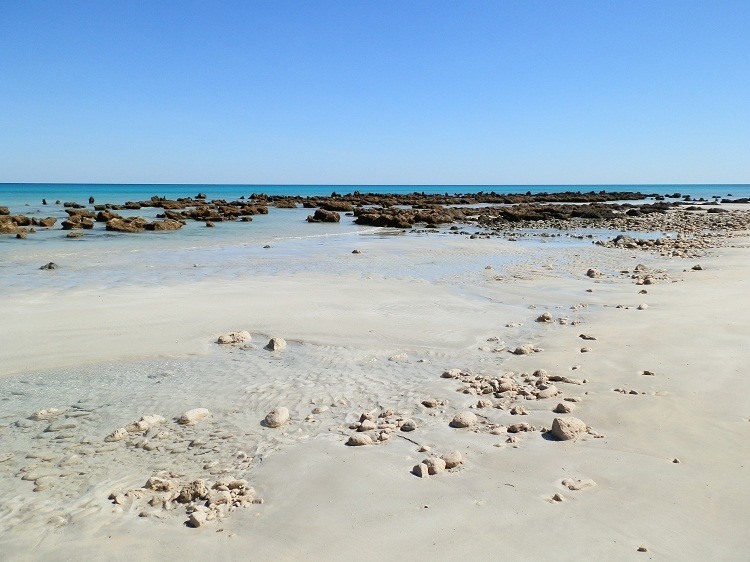 Coconut Wells Beach, a short drive north of Western Australia’s Broome on this beautiful July day (yes, that IS winter dowunder!) showed no signs of habitation except for a dune buggy track heading off into the middle distance. 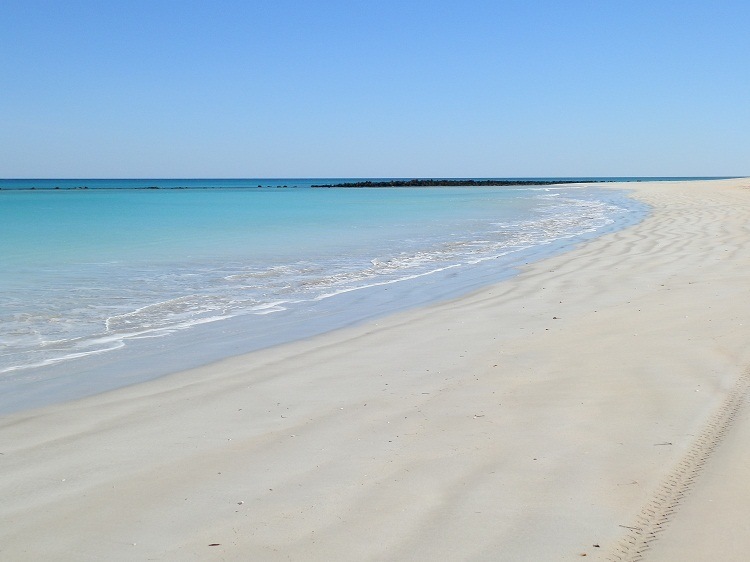 Thousands of Grey Nomads make the pilgrimage north from the colder states during the southern winter, and many lodge in Broome for the duration to enjoy its warmth. But none of them had made it to this stretch of beach. And while a couple of people strolled along the sandy shore further down, luckily we still managed to find some space of our own. But that’s just what you get when you’re in a country with the longest coastline in the world, and where conditions are just right for the beach any time of the year somewhere along it. SO … if you want to be alone on the beach in winter OR summer downunder, take a hyper-leap into another dimension where my guest post on the Explore Australia blog will show you 5 ways to find your own stretch of deserted downunder coastline! There’s plenty of other great Aussie travel articles on the blog – including my previous guest post Confessions of a Tween-Age Travel Blogger – so why not add it to your reading list?! « RED does Australia for the Glove Box Interview!! Just wait til you get out on the water – now that’s solitude! Ack, it’s torture to come here and see these beautiful sights in the middle of winter (here)! That’s my kind of beach…empty. A great part of Australia even if Hartog and Dampier didn’t think much of it. It’s a veritable paradise Red, loved your article on Tween Age! You can find some deserted beaches in Oregon, but I don’t think it’s as warm. George (above) could be right about NC …even though we spend part of the year in Florida, I am no expert on Atlantic beaches. Most of the ones near us here in Florida are too crowded for my taste. I like solitude too. Your pictures are wonderful. We just returned home from a nearly deserted beach in North Carolina. We enjoyed the solitude we found, but it would have been nice to have some of the beautiful sunshine you had. But then, we didn’t see a single sign of a dune buggy. It has been a cold and crappy week in Phoenix. Christmas shopping in the rain, ughhh. I could use a few days at the beach. @TMWH – Yes, everything you said – PLUS a visit to the bakery, and it’d be paradise! @Windsmoke – Thanx for the vote of confidence in the header! You’re the first to notice!!! @Mary – No distractions, and it’s amazing what one’s mind finds! @Filip – I’ve seen a few of the beaches you’ve visited – but I reckon we could match them down here! Some of them, anyway! @Beach Bum – I can’t really take credit for great pix – I just stand there and press the shutter button!!! @Robert Geiss – I wish I was there right now! @River – You shouldn’t have any trouble finding somewhere … it truly is spectacular! @Alessandra – Not bad, huh?! @Inverness DP – Unbelievably, it’s even better in the flesh!! @Joan E – Thank you! This series is supposed to be 1 pic (worth 1000 words) but I can’t seem to limit myself!!! @Dianne – Yeah, it’s different to, say, a ‘lost in the desert’ kind of solitude, huh?! @Indrani – Yes, the silence just shouts at you, doesn’t it?! @Michelle – Ha! Somehow I’m thinking you’ll just have to content yourself with white snow instead! But hey! WE don’t get a White Christmas!!! I could do with a winter like this one! I could go on but words fail to describe how spectacular your photos and Coconut Wells Beach itself. Whoa! Stunning silence in these captures! Great beach. We are currently in the Caribbean and they also have such beaches there. Top pictures. Solitude is definitely my cuppa tea. Your new photo header gets two thumbs up and a :-). Gorgeous sandy beach…makes me want to take off my shoes and walk for a few miles! Your so lucky for living in a country that has such amazing weather all year round! 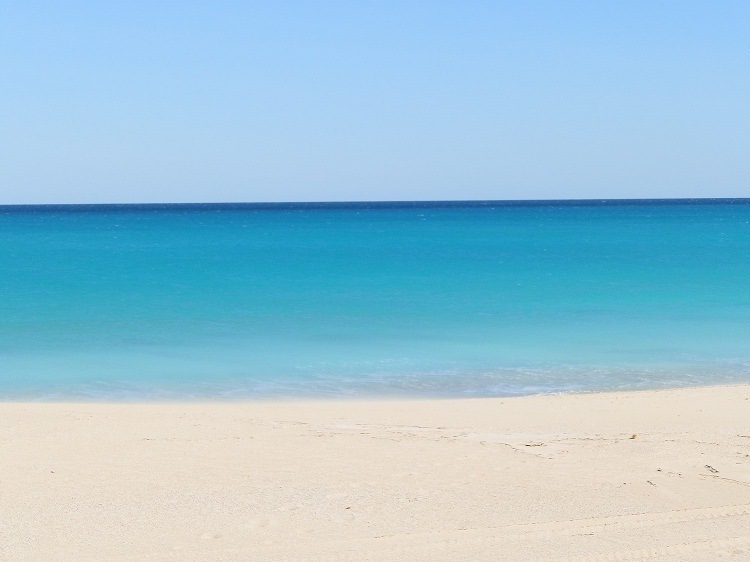 It’s starting to get pretty cold in Germany, so there’s nothing I want more right now than a white, sandy beach!! Ok – So where do you hide the massive hotels and how did you keep the throngs of tourists behind the police tape while you took these. I don’t even see a proper outhouse in these shots. Solitude …. walking the length of this glorious beach with nothing but the lap-lapping of the sea on the shore … Now that’s what I call solitude! Solitude …one of my favourite words … just one word needs not 1000. Mind you, you put words together so well 1000 is OK.
Only (uses fingers and frowns in concentration) seven more sleeps until my bare toes walk along Aussie sand such as this…!